Some individuals are re-appointees to serve with current board terms expiring this year and others are first-time appointees to serve as interim board members until spring. During its 2019 Hun-Kah Session, the Sixth ON Congress will consider the individuals for confirmation to serve three-year terms. 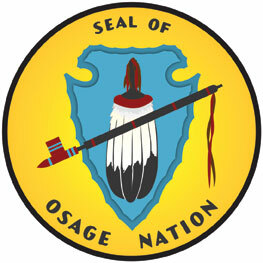 Richard Luttrell and Frances Williams are reappointed for the Osage Veterans Memorial Commission for second terms. Luttrell is an Army veteran and Williams is the current president of the Oklahoma State American War Mothers and Hominy Chapter of the American War Mothers. 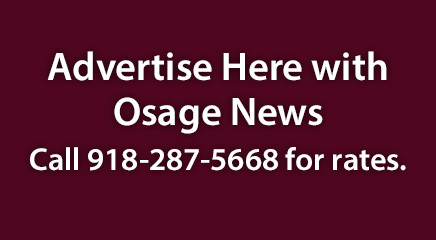 Mark Goad is a first-time appointee to the Osage Limited Liability Company (LLC) Board. Goad joins LLC board members Kay Bills and Frank Freeman after the recent resignation submitted by former board member Patsy Stuke. William Samuel Fletcher is appointed to serve on the Traditional Cultural Advisors Committee. Fletcher, of the Hominy District, is appointed to fill one of the vacant seats after the passing of Carole Hutchens in September 2018. The Congress meets for its 24-day Hun-Kah Session starting in late March. Each individual will also be asked to provide a copy of their resume to the Congress and to fill out a Congressional questionnaire. If the information is not received, the individual will not be considered for service, according to the Congressional rules.